We should always be dreaming about the next holiday…and here’s our pick of some of the best restaurants with rooms for a decadent gourmet break with the highest standards of fine dining. All, of course, offering DR benefits to our members to make it that little bit extra special…here are eleven restaurants in no particular order. Bybrook’s Restaurant in the stunning Manor House, in the heart of the picture postcard village of Castle Coombe, boasts a Michelin star, 4 AA rosettes and a host of other accolades for its contemporary cuisine. The 14th century Manor House has a range of terraces, quirky hidey holes and spacious rooms, and each of the 48 bedrooms are individually styled to the highest standards. A perfectly splendid English gourmet break. 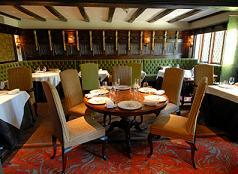 DR Members: Complimentary dining Monday-Saturday for lunch, Monday – Friday and Sundays for dinner. The quaint town of Ventnor makes an ideal setting for The Hambrough, stunning views out to sea, an award winning beach and fantastic walks. And the Hambrough itself is very special – a modern and cleanly minimalist hotel with seven spacious rooms offering splendid views. But people come here for the food as well, since Robert Thompson arrived from Cliveden in August 2008, he has already won a Michelin star for his modern locally sourced cuisine, and more accolades are expected. For a seaside retreat with added wow and luxury, you can’t beat this quiet corner of the island. DR Members: 10% off total food and beverage bill lunch and dinner Tuesdays to Fridays, and lunchtimes Saturdays. We know it’s a trek, but it is well worth it. Not only for the acclaimed 2 Michelin starred cuisine by famed chef Michael Caines MBE, but also the24 individually decorated rooms, and the setting of Gidleigh Park – an imposing mock Tudor mansion set in 107 acres in the heart of Dartmoor National Park, which makes it so special, with extensive walks through the grounds, along the River Teign and into the moors themselves. One of the best country house hotels in the UK, there are over 500 acres of gardens and parklands around 18th century Palladian mansion house, a proud member of Relais and Chateaux. There are 13 suites and 29 bedrooms, which are splendid as you would expect, and the perfect compliment to a magnificent meal in the Michelin-starred Park Restaurant in the house’s former ballroom, or perhaps within the more informal Brasserie. British heritage and beauty at its best. With 4 AA rosettes and hotly tipped for a Michelin star…up and coming chef Adam Simmonds has been doing great things at Danesfield House, the picturesque country house hotel and spa near Marlow in Buckinghamshire. There are 84 bedrooms and a superb spa to compliment a gourmet break, but the superb contemporary menus mean this place is the place to see and be seen. DR Members: Complimentary dining lunch Fridays and Saturdays, dinner Tuesdays – Saturdays. 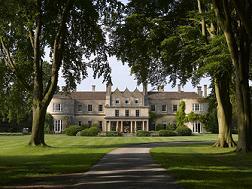 The Bath Priory needs no introduction – a sublime luxury country house hotel on the edge of Bath, where the staff are genuinely welcoming towards guests in a private house rather than a hotel. The award-winning restaurant, under the direction of two Michelin starred Executive Head Chef Michael Caines MBE, serves superb modern European cuisine, and in addition to the 27 bedrooms, there is now the new Garden Spa to enjoy as well. What are you waiting for? DR Members: 10% reduction on the total bill when dining for lunch or dinner Monday – Thursday, and dinner on Sundays. nahm is the Michelin-starred Thai restaurant from Australian chef, David Thompson, housed within one of London’s most extraordinary and stunning contemporary hotels. In the heart of Belgravia, this discreet sanctuary offers the finest of five star experiences, with quiet glamour, poised service and stylish interiors. The very epitome of chic in the heart of the city. 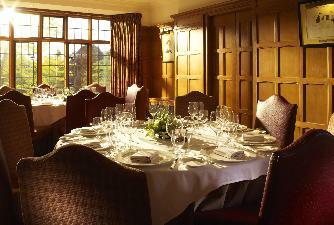 DR Members: Complimentary dining for lunch Monday – Friday, dinner Monday – Thursdays and Sundays. 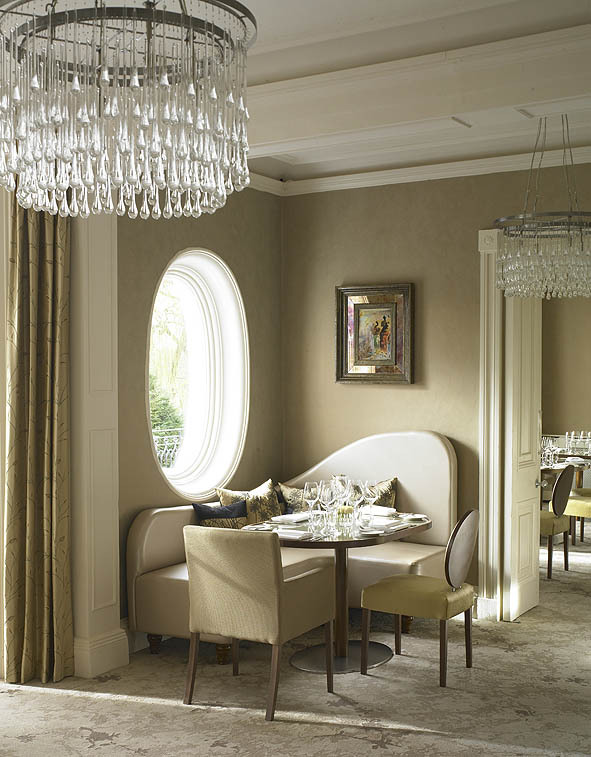 Tucked away beside the river, the Bingham in Richmond upon Thames is one of London’s most enchanting boutique hotels. Originally built as two Georgian townhouses, decor is elegant luxury with a vintage twist. 15 individually designed bedrooms, with a Michelin-starred restaurant, striking cocktail bar and beautiful river vistas from the private terrace and landscaped garden. Executive chef Shay Cooper offers the best of British food with the finest locally sourced ingredients within the opulent 40 cover restaurant, with river vistas and excellent alfresco dining. Ockenden Manor is a charming and tranquil Elizabethan Manor House tucked away in Cuckfield, one of the prettiest Tudor villages in England. With its history and character, it’s a wonderful place to escape to just an hour from London. 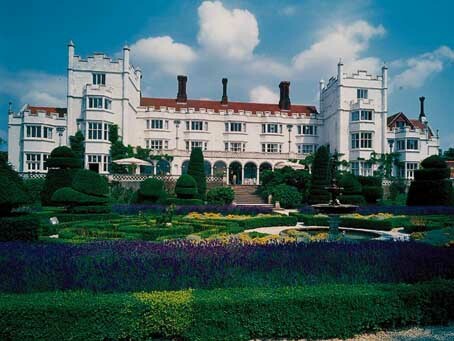 The hotel is set in nine acres of peaceful gardens and parkland with views across the West Sussex countryside to the South Downs and some of the great gardens and stately homes of Sussex and Kent are within easy reach. 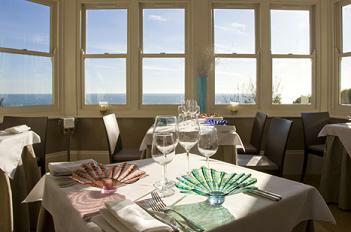 The beaches of the South Coast, including Brighton, are just a short drive away. 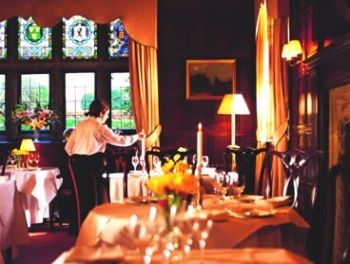 The Michelin-starred Restaurant at Ockenden Manor offers a superb fine dining experience in a charming setting of wood panelled walls with stained glass windows overlooking the gardens. DR Members: Complimentary member dining for lunch and dinner, Mondays to Thursdays, lunch Fridays and Saturdays and dinner on Sundays. 1 Michelin star, 4 AA Rosettes…Michael Latymer at Pennyhill Park has been winning accolade after accolade since his arrival in late 2007 and continues to impress with technical excellence and impressive “don’t try this at home” expertise. Together with the beautiful Pennyhill Park in the heart of Surrey, with over 123 acres of parklands, individually designed bedrooms and the large and impressive “UK’s most excellent spa”, now is the time to visit this beautiful gem. DR Members: Complimentary member dining lunch Tuesday – Friday and dinner Tuesday – Thursday. The epitome of romance on the River Thames – the Compleat Angler Hotel is Marlow’s perfect riverside retreat. Overlooking the cascading waters of Marlow Weir in the centre of the town and overlooking the river, this historic hotel could not be in a better setting, and the 64 stylish and contemporary rooms are elegantly finished. 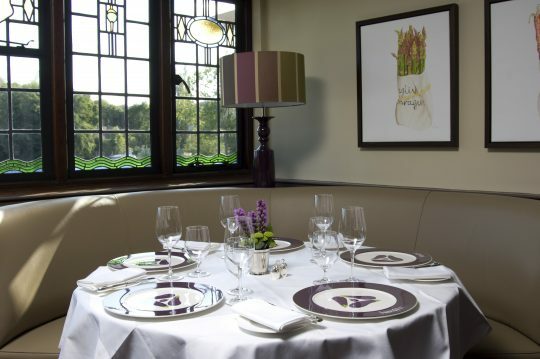 The fine dining Aubergine Restaurant serves exquisite modern French cuisine, overlooking the river Thames below. 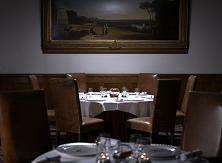 DR Members: Complimentary dining lunch and dinner Tuesdays and Wednesdays, and lunch on Thursdays.